One woman defied society. ...no matter what they said... ...no matter what they did... ...no matter what the cost! A beautiful, aristocratic young woman whose life at the peak of Imperial Russian society leaves her lonely and unfulfilled...a dashing military man with a noble title and a passionate heart...an affair that begins as a private infatuation, but soon scandalizes an entire city... Count Leo Tolstoy's classic romantic novel, Anna Karenina, paints an unforgettable portrait of two people who lose themselves in the throes of a love so powerful that it comes to dominate their very existences, changing forever their friendships, families and futures. Anna first spies the dashing cavalry officer Vronsky at a lavish ball and is instantly attracted towards him. Her marriage to the older aristocrat Karenin has given her respectability, wealth and social position, but it lacks the passion and love that she also desires. It is no wonder she responds to the advances of the charming Vronsky, but their subsequent affair shocks society, and has tragic consequences. Anna is banished from her social circle and forced to live in splendid rural isolation with her illicit lover, while the scorned Karenin also bans her from seeing their young son. Then at tale's end Anna meets her fate under the locomotive's wheels, the audience feels some tragedy, but with the suspicion that the train arrived ahead of schedule. Leo Tolstoy's tale of love and morality follows the doomed romance between the beautiful, well-born Anna Karenina and Count Alexei Vronsky. Anna, though a wife andmother, plunges into a tempestuous affair with the dashing Vronsky, shocking Russian society and rending her family apart. The progress of their liaison is contrasted with the romance and marriage of two of their friends, Levin and Kitty, who seem an unlikely match at first but find increasing happiness and fulfillment as their relationship deepens over time. The desperation and despair of one couple and the ever-growing warmth and devotion of the other trace two separate choices in love and reveal the consequences of each. Although the story of Anna Karenina is not autobiographical, it does deeply reflect Tolstoy's own beliefs and his desire to impart these beliefs to others. In many ways, the character of Levin is one with whom Tolstoy identified closely, and Levin's experiences as he is transformed by his love and marriage to Kitty were a message to readers of the novel. Count Leo Tolstoy (writer) was born to a wealthy family of landowners in 1828 in Russia's Tula province. He studied Oriental laguages and law at the University of Kazan and then led a life of pleasure until 1851, when he fought as a member of an artillery regiment in the Crimean War. After participating in the defense of Sebastopol, Tolstoy wrote The Sebastopol Stories, which established his reputation. He married in 1862 and had 13 children over the next 15 years. During that time he managed his vast estates; studied and implemented educational methods in order to help the local peasant population; and wrote his two greatest works: War and Peace (1865-68) and Anna Karenina (1874-76).Imperial Russia was in its heyday during this period, opening new cultural and commercial doors between Russia and Western Europe, and bringing Tolstoy's master works to an international audience. A Confession, which he wrote from 1879-92, marked a change in his life and works; he became an extreme rationalist and moralist. In a series of pamphlets he wrote after 1880, Tolstoy rejected the Church and State, renounced the demands of the flesh and denounced ownership of private property. His writing earned him many followers in Russia and abroad, but also generated strong opposition. In 1901, Tolstoy was excommunicated by the Russian Orthodox Church. He died in 1910 during a journey, at the small railway station of Astapovo in Russia, seven years before the revolution that transformed Russian history and politics. Writer/director Bernard Rose is a graduate of the National Film and Television School at Beaconsfield, England, and was the winner of a BBC award for young filmmakers as a teenager. His previous features include "Paperhouse," which took first place at the Avoriaz Film Festival, "Chicago Joe and the Showgirl," "Candyman" and the Icon Production "Immortal Beloved," which starred Gary Oldman and Isabella Rossellini. Rose's television work includes "Body Contact" and "Smart Money" for the BBC, as well as several popular and critically noted music videos, including UB40's "Red Red Wine" and Frankie Goes to Hollywood's "Relax" and "Welcome to the Pleasure Dome." The filmmakers immediately recognized the importance of finding the ideal actors to play the roles that have captured generations of readers the world over. Director of this film Rose said:"...so we needed to find an Anna who could communicate a great deal without a history -- who had a gorgeous, eloquent face and a mystery about her, aristocratic yet vulnerable. A woman who could drive a man to a grand, dangerous adoration, but who seemed to live without any calculation. Mel Gibson had worked with Sophie Marceau on 'Braveheart' and he suggested that we meet with her." In that time, Sophie had recently had a baby, and Rose felt that this enhanced her qualification for the role even more. 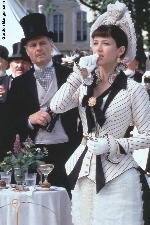 Sophie Marceau had a splendid performance. Besides her ineffable beauty and exquisite elegance reflected on the screen as Anna is meant to be, it is remarkable to watch how her facial expressions convey those most subtle emotions Anna possess, joy, happiness, shame, sorrow and despair. More amazingly, the sentiments are communicated not only through her tender eyes but also from those sensational lips. In addition her French accent adds the intoxicating foreign flavor to the character, which makes you wonder what it would be like if they all speak French instead (in that period, the Russian aristocrats often spoke French). "I don't think you could cast a childless woman as Anna," Rose says. "There are too many aspects of the story that deal with her children and her separation from them; I think only a mother can really give them resonance. In addition, the fact that Sophie is French was very helpful, because Russian aristocrats of the day were frequently educated in Paris and spoke French even after returning home. In fact, as we show in the film, Russian was primarily spoken by the nobility only to their servants; to one other, they spoke European languages, usually French." And opposit, what Sophie Marceau said about the Anna Karenina's director: "It is extraordinary that Tolstoy had this understanding of a woman. And Bernard had this too. He's very brilliant, a little crazy, but he never obliged me to pretend for him." And here Sophie comments his way of work: "Bernard never used me as an object. He was rough at times, but honest. And that's the best way to get a performance from an actor. It means you can use the bad as well as the good." Then she adds, with a simplicity that disclose the genuine poetry of her soul: "He never tried to seduce me with sweet purpose. I love the way he treated me in the films." This role is as written just for Sophie. Her charm, elegance and gentle face and moves are right so, as Tolstoy has written about Anna Karenina in his roman. And how Sophie commented the lasting appeal of Anna Karenina? "The book is a masterpiece; the fact that people still read, feel and talk about this book shows what a classic story it is. It owes its longevity to the fact that it deals with people, people who go farther than anyone else. Yet it's so close to reality that we can recognize ourselves in all the characters." Sophie is adamant that the social forms may have changed, but the essential dilemma of the character - that of a married woman who falls in love with another man - remains the same. Marceau spent three months of the six-month shoot in St Petersburg and it seems her experiences ware oddly heart-rending. "I wouldn't say it was a fairytale," Sophie says from her Paris apartment. "St Petersburg is a magical city. But it's very painful to see what's happening in the streets. The misery and the ruin is everywhere, it's really frightening to a Westerner, and if you have children, and you see these families on the streets in very desperate circumstances, it breaks your heart. So I was torn between the two feelings. The beautiful crazy history of this culture - which is basically 18th century Europe, and the fact that I hate this place. It's just not livable for normal people." About the preparation for the role of a lifetime, Marceau was a little mysterious. "Working on a film is about concentration, 16 hours a day," she explains. "It's about not talking too much about what you are going to do. It's about being in a certain state. Even if you are just walking in the street, the walk must mean something. That is the actor's job. The message must be clear in every moment." As Anna Karenina approaches her fate, Marceau explains the character moves deeply into herself. "It's very personal. How would you imagine your own death? But I don't think Anna was even thinking about death. She had gone so deep into herself, there's no way back. She's a very introverted person. That is what is going to kill her." 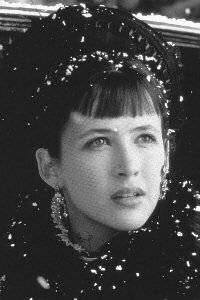 "Sophie Marceau is a cool, regal beauty -- not the right type at all to play the hot-blooded, passionate Anna. Marceau is a good actress, but she's wrong for this role, and her icy rendering of Anna leaves viewers largely unconcerned about the fate of the character," says renomed critic James Berardinelli . Sean Bean was born and raised in Sheffield, Yorkshire, England, and initially followed his father into the family welding business before joining the Royal Academy of Dramatic Arts. There, he won the Silver Medal for his graduation performance in "Waiting for Godot" and also received two awards for fencing. He made his professional acting debut as Tybalt in "Romeo and Juliet" at the Glasgow Citizens Theatre, then played Romeo for the Royal Shakespeare Company at Stratford-Upon-Avon. Bean appeared as Lovelace in the BBC television adaptation of "Clarissa," then achieved widespread audience notice in the starring role of Lieutenant Sharpe on the BBC series "Sharpe's Rifles," which is going into its fourth successful season. His starring performance as Mellors in Ken Russell's "Lady Chatterley's Lover," a four-part telefilm, further enhanced his popularity. Among Bean's other film credits are "Caravaggio," "Lorna Doone," Mike Figgis' "Stormy Monday" and "Windprints." His television appearances include "A Woman's Guide to Adultery," "Fool's Gold," "Inspector Morse," "Prince," "Tell Me That You Love Me," "Troubles," "My Kingdom For a Horse" and "War Requiem." On stage, Bean has performed in "Fair Maid of the West," "A Midsummer Night's Dream," "Deathwatch" and "Last Days of Mankind." "Sean is a wonderful, vital actor with a very masculine energy," says Rose. "He also -- and this is not a small thing -- looks natural and appealing in uniform. Not all contemporary actors can carry off the military carriage and demeanor that a uniform, especially an imperial Russian uniform, requires. But I had seen Sean in a British television series called 'Sharpe's Rifles,' and I knew he'd be perfect for the part of Vronsky." Marceau said about her partner: "There is no chichi, no rivalry. He's also very much the English gentleman. Not too warm, not too distant. At night Sean stayed very quiet in his room, watching football I think. I feel I could invite him for a week to stay with me, and he wouldn't disturb me at all. He's not always talking about himself." Alfred Molina (Constantin Levin) has enjoyed a successful career on stage and in motion pictures. The English-born actor was recently seen in the film "Before and After" opposite Liam Neeson and Meryl Streep. Rose said: "Fred has a unique ability to look physically big and strong at the same time he projects the air of being lost and uncertain. I wanted someone who was on a journey of self-discovery, who learned a lot about people and who faced his personal demons -- but he had to be a strong and intelligent person right from the beginning. Fred was exactly the man I had in mind!" ...Bernard's adaptation is very pure; there are many occasions when the characters in the film use the novel's dialogue exactly. And this is the first time the full content of the book has been explored on film, so I think it's a very important version of a classic work." Canadian-born Mia Kirshner (Ekaterina "Kitty" Scherbatsky) has appeared in Denys Arand's critically acclaimed film "Love and Human Remains" as well as in Atom Egoyan's "Exotica" and "The Crow -- City of Angels." Kirshner, who was raised in Toronto, began acting in her teens and has studied literature at McGill University between performing assignments. Mia Kirshner also appears in the upcoming "Mad City," with Dustin Hoffman and John Travolta. Kirshner's opinion to film: "Since Tolstoy saw himself in Levin's character, he also saw much of his wife, Sophie, in Kitty's character. Sophie edited Tolstoy's work and it was almost a love letter to her -- he writes 'there are two classes of women: all other women and then Kitty, who is in a class of her own.' So I felt it was important to show what qualities both Tolstoy and Levin admired in these women. Kitty really had to grow in the course of the story." James Fox (Alexi Karenin) has amassed a substantial body of acting work that includes numerous popular and critically acclaimed motion pictures. He has recently been seen in "Gulliver's Travels," "Neverever," "Patriot Games" (in which he appears with Sean Bean), Merchant-Ivory's "The Remains of the Day" and Nicholas Roeg's "Heart of Darkness." "James Fox plays Karenin as a man who is obsessed with the proper and appropriate, no matter what feelings lie behind the actions. Yet, as the events of the story unfold, he emerges as a very sympathetic character. That's essential to the story I wanted to tell." says Rose and adds: "I wanted a handsome man for this part. He had to be physically attractive, because I didn't want people to think that Anna has been married to some kind of ogre. She wasn't; she had simply made the kind of marriage that most wealthy people of the time made. She had joined her future with the most successful man who proposed to her, and romantic love had nothing to do with it. I don't think she even understood how much was missing from her life until she met Vronsky." "400,000 words cannot be condensed into two hours." Writer/director Bernard Rose says that he is glad to have encountered Anna Karenina for the first time as an adult. "When you mention this novel, everyone nods and says, 'Oh, yes, I've read it,' but when you ask them to be more specific, they admit they were supposed to read it in school, but few really did," says Rose. "When I discovered this marvelous story as an adult I could experience it as something fresh and new; it was riveting." This classic story has been filmed many times before, most notably in the haunting 1935 version featuring Greta Garbo, and the tragic story itself is familiar. Many critics talk about this Anna Karenina version as about needless thirth version because it is worst than previous. "Of course, I saw the Garbo version, which has many wonderful moments, but the story had a central flaw for me," Rose says. "Neither it nor any other filmed version gave much consideration to Levin and Kitty's part of the story; there was no parallelism, and much of the meaning of the whole book was lost." About 80% critics stated that Rose paints pretty pictures with his camera and his script is solid enough, but to tell Tolstoy's massive work in screen shorthand makes a certain disjointedness inevitable. Visually, the film is dark and splendid, all clouds of white steam at frozen railway stations and women in fahabulous gowns running through the ornate, gilded rooms of palaces in 19th-century Russia. Costumes are designed by talian costume designer Maurizio Millenotti, who has been nominated for two Academy Awards, for Franco Zeffirelli's films "Othello" and "Hamlet." He began his career as an assistant to famed designers Piero Tosi and Gabriella Pescucci during the 1970s, and in 1981 became a designer in his own right. Rose has actually filmed on location within Russia itself, bringing a unique touch of authenticity to the production. The snow swept landscapes, the opulent Czarist palaces, lavish ball rooms and the old buildings of St Petersburg add to the lavish, stunning visual surface that captures the magnificent beauty of Russia at the height of its imperial empire in the late 1880's. The sumptuous visuals are accompanied by a superb and rousing score featuring the works of Russian composers like Rachmaninoff, Tchaikovksy and Prokofiev, all beautifully played by the St Petersburg Philharmonic Orchestra under famed conductor Sir Georg Solti, who previously collaborated with Rose on his last film. Here I offer you some opinions from renomed or not renomed critics. Here you can find positive critics and negative ones, too. Decide, which you will believe in and whoose critic has the same opinion as you. I think, It is one of the best roles Sophie played in any case. If film is good or bad, Sophie's role is good enough purpose to seeing this movie. This film doesn't know if it's a love story set in 1800s Russia or a production and costume designers' show-reel. For me, seeing Anna Karenina was like going on a date with an incredibly beautiful, though slightly dull, woman. What she had to say was not as engaging as how she looked. But, still, it's hard for me to come away displeased with the evening. 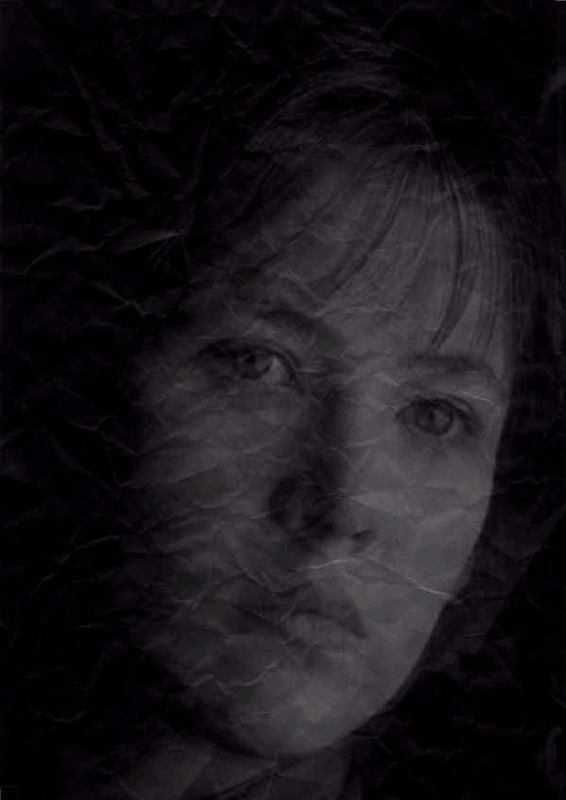 As for the performances, Sophie Marceau is the movie's saving grace. Anna Karenina is mostly eye candy, and while her fellow actors behave as if directed to be part of a tableau, Marceau has a haunting presence that keeps the film lurking around in the mind much longer than it deserves to. Say, you could always read the book. Empty: Karenina is nice on the edges but has nothing in the middle. Everything about the film is lush and beautiful. From the wonderful photography that enhances every bit of film, to the breathtaking decor in the ballroom and on the skating rink, to the well-chosen cast, the film is a winner. Anna has a classically lovely face. Her every emotion, her passionate love affair with Count Vronsky is revealed in her eyes. This film deserves to be nominated for Best Cinematography. The scenes - and not just the scenery - are exquisite. If you haven't read the 800-plus-page novel, this is the movie that will compel you to do so. And you will be grateful for it afterwards. It is the best movie adaptation of Leo Tolstoy's timeless tragic love story "Anna Karenina" thus far. Beware of that reading a novel and watching a movie are never meant to be the same experience. They are functionally different and a head-to-head comparison is seldom fair or meaningful. Bear that in mind and watch this movie for its own sake, you will find yourself immersed in this beautiful film. Another baffling aspect of this film is its myriad conflicting accents. Wasn't Leo Tolstoy a Russki? Sophie Marceau is French, Mia Kirshner is Canadian, and the other actors flaunt their native accents like fans rooting for the home team. Nobody makes even the slightest attempt to use a Russian accent, which gives "Anna Karenina" all the cultural charm of a Japanese tourist trying to order a Whopper in a Moscow Burger. While Tolstoy's Anna eventually becomes a selfish coquette who neglects her illegitimate daughter and flirts with any man who crosses her path, Rose's Anna spends her days alone in bed, crying herself to sleep. Rose removes the daughter from the story, so that Anna won't have to appear in the unsympathetic role of a bad mother. Rating: "Anna Karenina" is rated PG-13 (Parents strongly cautioned). It has adult themes and one mildly explicit love scene. us.imdb.com - What International Movie Database says about "Anna Karenina"? www.movies.warnerbros.com/anna/ - Official page dedicated to "Anna Karenina". verdi.simplenet.com - Dowload of Anna Karenian avi.